Executive Director – Emma is an Australian–Cambodian who has worked on conflict transformation and peacebuilding throughout Asia since 1993. After moving to Cambodia in 1997, Emma worked with the International Campaign to Ban Landmines, the Working Group for Weapons Reduction in Cambodia and supported a number of Cambodia peace initiatives – the latest being the launch of the Cambodia Peace Museum project. In 2005 she launched a Master’s Programme for the Asia region in Applied Conflict Transformation Studies. In 2008 she established CPCS, where she holds the position of Executive Director. 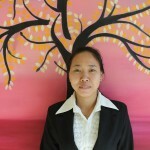 Peace Museum Site Manager – From Cambodia, Bunthan is CPCS’ Administrative Assistant/Librarian. 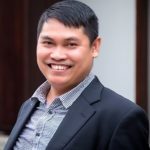 He has more than 10 years experience in administration and human resources, most recently with Caritas Cambodia in Siem Reap. Bunthan has an Associate Degree in Science and Technology. 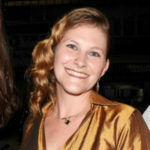 Peacebuilder (Korean Peninsula) – Caroline is the lead coordinator for Korean Peninsula projects at CPCS. Prior to this, she conducted research for the CPCS Cambodia Peace Museum. She holds a MA in Global Affairs with a specialisation in Conflict & Development from George Mason University. Her thesis focused on forgiveness and reconciliation in post-conflict societies. Deputy Director – Betchak, from the Philippines, is the Deputy Director for Programmes at the Centre for Peace and Conflict Studies (CPCS). Her role focuses on supporting and accompanying the peace processes in Myanmar, Philippines and Patani through working with the key actors from government, anon-state armed groups, and civil society engaged in peace processes. Accountant – Rothny works for CPCS’ Finance & Administration team as an accountant, and comes to us most recently from Caritas in Siem Reap. 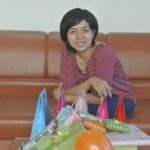 Rothny holds a Bachelor degree from Build Bright University and is now continuing her studies for a Master’s degree in business administration at the University of Southeast Asia. Director, Cambodia Peace Gallery – Nikki has been working in Cambodia since 2014, though her interest and commitment to the country began in 2009 during her first visit to the country. In her five years with the Centre for Peace and Conflict Studies she has held a number of roles: Initially as the Administrative Support for the Applied Conflict Transformation Studies (ACTS) Master’s program before establishing the new position of Partnership Coordinator and Grants Manager in 2014. Peacebuilder (Rakhine) – From the Autonomous Region in Muslim Mindanao in the Philippines, Zabra has previously worked on human rights for the British Embassy in Manila and with an NGO promoting dialogue between young people from Luzon and Mindanao. He holds a Masters Degree in Development Management from the Asian Institute of Management. Deputy Finance Manager – Sokunthea is a Cambodian and is the Deputy Finance Manager at the Centre for Peace and Conflict Studies (CPCS). She has previously worked as Accountant at Depot Ly Hang Seng and at the Quality Learning International School. Government Liaison Officer – Sotheavy Oum also known as DA is a Cambodian. Currently working as a Government Liaison Officer at the Centre for Peace and Conflict Studies (CPCS). Previously, she worked as an Administrative Assistant and Librarian from 2003 to 2007 at Alliance for Conflict Studies (ACT. 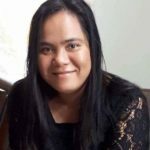 Peacebuilder (Mindanao) – Shahpur is from Kuala Lumpur, Malaysia, and is a Programme Officer for the Research & Analysis Team. He holds a Bachelor’s degree in business and is currently a enrolled in the ACTS course. Peacebuilder – Rachana is from India, and supports various interventions designed to meet the needs of conflict-affected parties. She previously worked as an assistant trainer and facilitator in a conflict engagement organisation in Bangalore, India. Rachana holds a degree in law from NALSAR University. 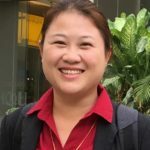 Human Resource Manager – Hally is from Cambodia, and currently the Human Resource Manager at the Centre for Peace and Conflict Studies (CPCS).